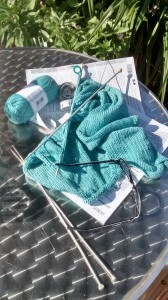 When I’m not reading or writing I’m often found with a pair of knitting needles in my hands. I can be working on something for myself or, very often, items for my grandchildren either something to wear or maybe a toy. I was sitting in the garden a few Sundays ago, working on a summer jacket for myself. It was a break from working on the proofs of my latest book, which have gone to and fro from the typesetter this past few weeks. It struck me how much my craft of writing and the craft of knitting can be compared. Writing can be a hobby like knitting, knitting can be a profession like writing. Firstly, you have to know the basics. Obviously writing starts when you learn to read and write. Knitting begins by learning the knit and purl stitches. Once you master these, then the world of each craft opens up. For writing we next learn about sentences and their components, about verbs, nouns, pronouns, adverbs, adjectives, prepositions, conjunctions, interjections which make your work make sense and read correctly. With knitting you learn about casting on, casting off, increasing, decreasing and manipulating the yarn. For both writing and knitting, getting everything in its correct place is essential in forming a good quality finished item. Writers create sentences and paragraphs which work in unity to create the story; a knitter creates pieces that are sew together to make a whole. 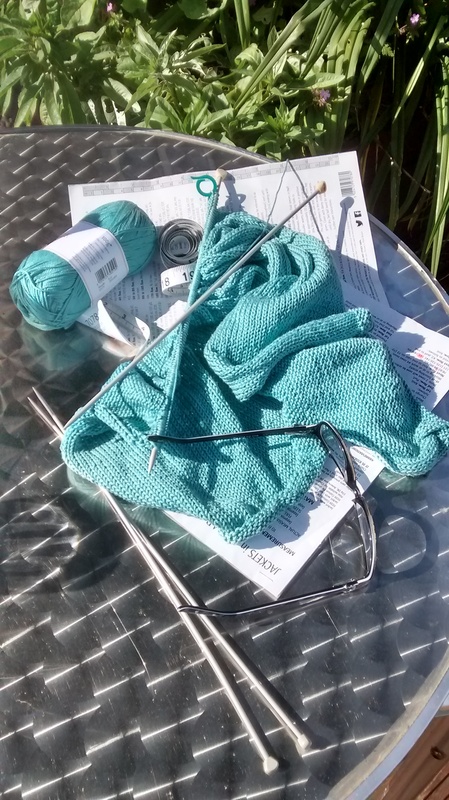 Whilst a writer plots, knitters follow patterns which twist and turn to create a whole. It’s quite amusing that the word for what a knitter needs to create their pieces, is the same as something that a writer creates – yarns! With writing and knitting alike, the more you do the more the quality of work improves. Both need practice. There’s always something new to learn and new ideas and the outcomes for both crafts are infinite. Both writers and knitters get much satisfaction and a sense of pride in seeing their work grow. It is also widely accepted that both activities stimulate the brain, keeping it healthy. Knitters and writers alike will experiment with their craft, review their work and, most of all are thrilled when the finished item receives admiration. When I’m knitting, especially when the pattern is less complicated, I can think about what I’m writing and work out plots and ideas in my head. My work and my hobby, knitted together. Perhaps my next book should be about knitting!